After 3 weeks in Cuba, Cancun was a refreshing change. The weather changed for the worse in Havana and our entire stay was overcast and grey so feeling warmth and sun on your skin again was excellent! We were a few hours in into our 24 hr trip from Havana (Cuba) to Columbia San Pedro (Belize) where we will be spending 3 educational weeks on an organic permaculture farm in the Belizian rainforest. After long wait at security in Cancun Airport we set off to find the ADO bus counter to book our tickets for that night to get to Belize City. Of course, as luck would have it, the bus was full for that night. This has shifted all of our plans by one day and left us homeless for the night. 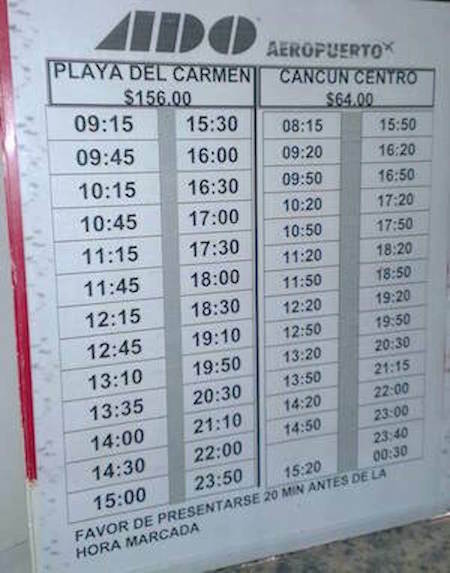 We booked our tickets for the next day in person at the ADO bus counter at the Cancun airport and spent the next few hours searching for somewhere to stay. I wanted to share the information I have learned about getting from Cancun to Belize City. 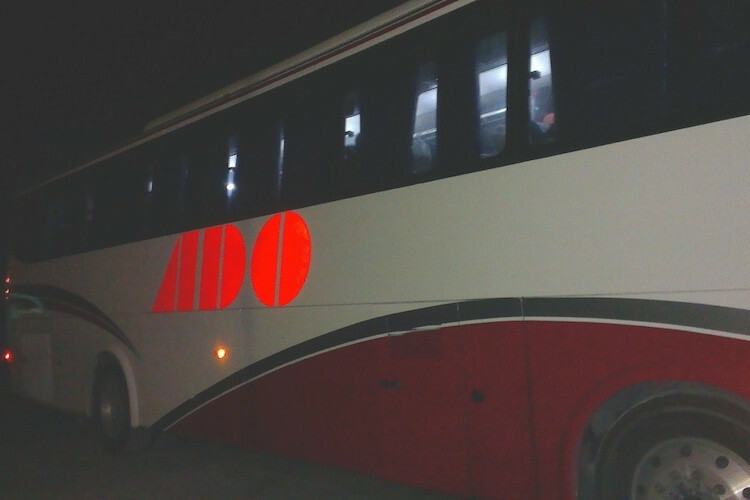 The buses form Cancun to Belize are operated by ADO (pronounced “aa-de-oo”). They conveniently have an ADO ticket counter as you are exiting the airport. Here you can pre-book your trip to Belize in person as no online booking is available for the bus to Belize (you can also pre-book the ticket in the ADO bus station in Downtown Cancun). Luckily we found somewhere to stay within a 5 minute walk of the ADO downtown bus station and after a much needed rest we carried on our journey the next evening. You have to arrive at least 15 minutes before the bus departure time, so to be safe we were waiting at the ADO bus station from 9:30 pm onwards. Bonus tip there is free wifi at the station! Listen for the announcements and the bus arrived to gate 1 on time, we took our bags with us and loaded them into the special compartment just before getting on. The bus itself is air conditioned and it is absolutely freezing, so bring a blanked (not a joke! it was way too cold to fall asleep and it is apparently a well known fact). If you don’t fancy using the bus toilet you can get off at any of the stops and use the bathroom, usually the driver stops for about 5 minutes or so to pick up more people in Playa Del Carmen, Tulum, Bacalar and then Belize City. We arrived at the Mexican border at about 4am where we all had to get off the bus and queue outside to go through border control, they checked passports and collected the immigration slip that you would have filled out on entering the country. This is also where we had to pay Mexican Border Exit Tax which was about 300 MXN. After about an hour at the border we were ushered back onto the bus and a short ride later we arrived at the Belizian border. 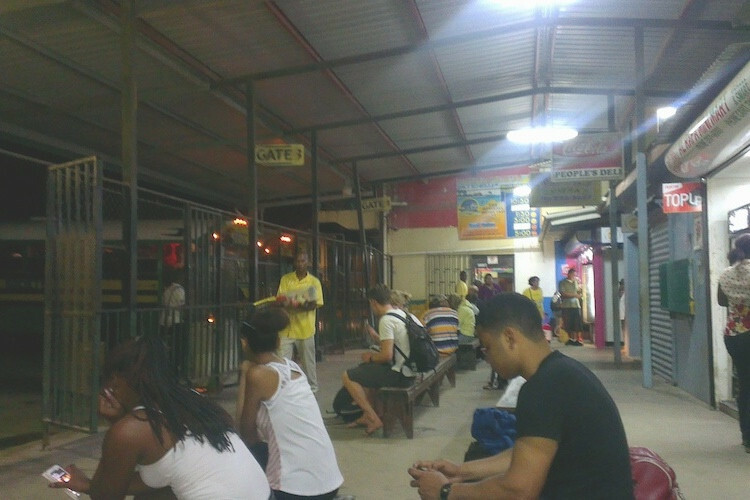 Here we had to get off the bus with all our luggage and cross the border into Belize and scan all our luggage. Another hour later we were free to go back to sleep but not for long as we would be arriving into Belize City at 8.30am with a few stops on the way (Corozal and Orange Walk). The bus terminal is still commonly known as Novelo’s (this is the name of a former bus company). The ADO buses arrive and depart from here along with a few other buses. From Belize City out journey to reach an organic farm cituated in the Belizian rainforest carries on still onto a small town of Punta Gorda in Southern Belize, but that is a whole other blog post.